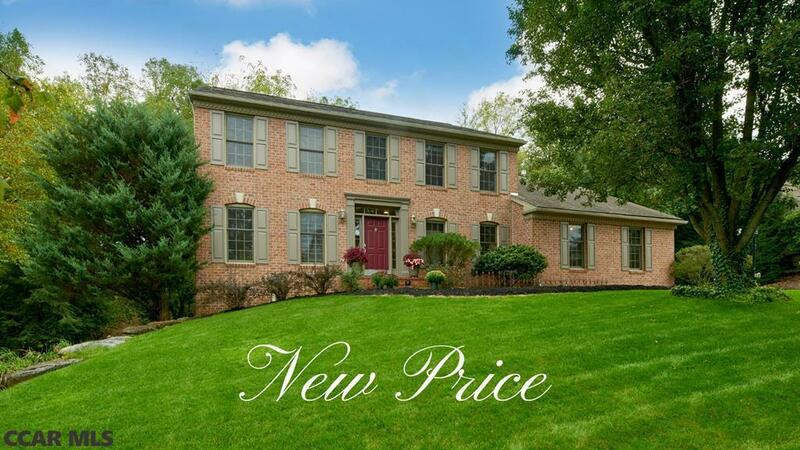 Walk or bike to Penn State on the bike path from this custom built home in Teaberry Ridge. Built to the highest standards, this 4/5 bedroom home has a beautifully remodeled kitchen which openly adjoins the bright sun room and adjoins the great room with high ceilings and built-ins on either side of the gas fireplace. A first floor office, living room and dining room complete the main floor. The peaceful, private yard is large, flat, backs to green space and has a huge patio with a retractable awning. Walk-out lower level used as the 5th bedroom with full bath. An 18'x12' workshop is accessible from the backyard and from basement (also additional large storage area in basement). Hardwood throughout home including upstairs. Master bedroom has two walk-in closets, master bath with double vanity, shower and soaking tub. Functional and pretty, this house is a great value in desirable Teaberry Ridge. Home Warranty Included. Directions: Blue Course Drive To Teaberry Ridge To Megan Drive. If You're Coming From Penn State, You May Want To Just Take The Bike Path To This Home. The Path Is On Atlee Circle In Teaberry Ridge.